Apart from teaching your child standard academic lessons, we at Montessori Children’s House also want to foster your child’s creativity through art. As a top provider of early childhood education in Riverside, California, we want to help your child grow in all aspects – physically, mentally, intellectually, and creatively as well. Drawing allows your child to be more expressive. Children are like sponges – they absorb any and all information that they get exposed to. To be able to express these new things that they learn, drawing is an important form of self-expression. 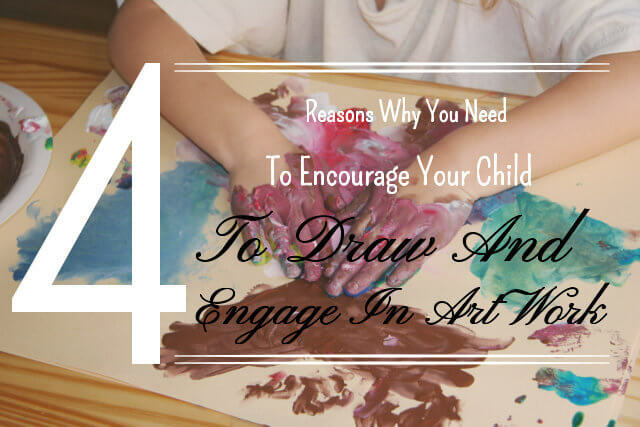 After all, not everything that your child wants to express can be communicated in actions or words – this is where art and drawing becomes very important. It becomes an outlet for them for self-expression. Drawing helps in developing your child’s problem solving skills. Your child’s mind is constantly working when they are drawing. While drawing, they start to ask themselves questions like, “How do I connect this cat’s head to its body?” or, they could start asking themselves what color works best with another. Asking these questions helps in developing their problem solving skills early on. Drawing develops your child’s fine motor skills. Once you give your child a crayon and paper as early as 12 months old, they will start scribbling. Once they start holding and grasping a crayon or pencil, they are also developing their finger, hand, and arm muscles – eventually enhancing their fine motor skills as well. Drawing fosters your child’s overall development. Drawing doesn’t just develop your child’s fine motor skills, but it also helps sharpen their mind, and enhance their cognitive processes. These are just some of the benefits that drawing and art can bring for your child. At Montessori Children’s House, a top provider of early childhood education in Riverside, California, we want to help foster your child in all aspects. You can definitely trust us with their growth. For more information about our other programs, schedule, and enrollment procedures, please give us a call at 951-359-5437. We would be happy to assist you today!